Last Monday, two-dozen activists chanted, sang, and drummed outside Wells Fargo' San Francisco headquarters to demand the bank stop financing the Dakota Access Pipeline. Wells Fargo has drawn criticism for its central role in raising funds for the pipeline's construction. But banks aren't the only Bay Area institutions that stand to profit if the pipeline is completed. The University of California and the state's two largest public pension systems, CalPERS and CalSTRS, are also invested in Energy Transfer Partners and the oil company Sunoco, which recently merged with ETP in a deal worth $20 billion. ETP and Sunoco are the companies building the Dakota pipeline. According to the UC's most recent annual report for its employee-retirement system, it has $3.1 million invested in Energy Transfer Partners bonds. CalPERS, the state's giant public-employee retirement system, has invested $57 million in Energy Transfer Partners. The retirement system also owns Sunoco bonds worth $1.8 million. And the California State Teachers Retirement System, or CalSTRS, owns $34 million in Energy Transfer Partners bonds and another $12.8 million in Sunoco bonds. "By buying these corporate bonds they're betting on the success of the pipeline," said Janet Cox of Fossil Free California, a group that advocates divesting from fossil fuels. Teachers, students, and public employees have rallied for years to divest retirement funds and endowments from oil, gas, and coal. Results have been slow and mixed. In 2015, CalPERS began divesting from thermal coal. Gov. Jerry Brown later signed a bill requiring both CalPERS and CalSTRS to sell off coal stocks and bonds by July 2017. Last September, the UC announced it was divesting from companies that mine coal and oil sands, two of the dirtiest fossil fuels. But the UC and both state pension funds remain heavily invested in oil and gas. Their staff and consultants claim that divesting could cause them to lose out on investment returns needed to pay retiree benefits, and that a more effective strategy to improve the climate is "engagement" with oil and gas companies to urge them to become more sustainable. The UC and CalPERS didn't respond to requests to discuss these investments. Ricardo Duran, a spokesman for CalSTRS, said the teachers pension system's actual investment in companies building the DAPL is as high as $200 million due to the fact that CalSTRS also owns shares of Conoco Phillips, another oil company directly backing the pipeline. Duran said the CalSTRS board of trustees has been approached by parties asking the pension to divest from the DAPL, and fossil fuels more broadly, and that the proposal is "under consideration." Pennie Opal Plant, one of the founders of Idle No More SF Bay, called the pension system's engagement policies crazy. "Obviously it hasn't worked," she said. "It's irresponsible at this point. We're determining whether or not the next generations are going to survive." Hugh MacMillan of Food and Water Watch has researched the Dakota Access Pipeline's finances. The amounts invested by California's public pension funds might be small compared to the overall size of Energy Transfer Partners, or the total assets of the pension funds, but he said that CalPERS, CalSTRS, and UC are still "complicit" in helping build the project. According to MacMillan, the fact that all three are invested in Energy Transfer Partners' corporate bonds, as opposed to stock, matters, as well. "Bonds are totally integral to the process of building the pipeline," he said. 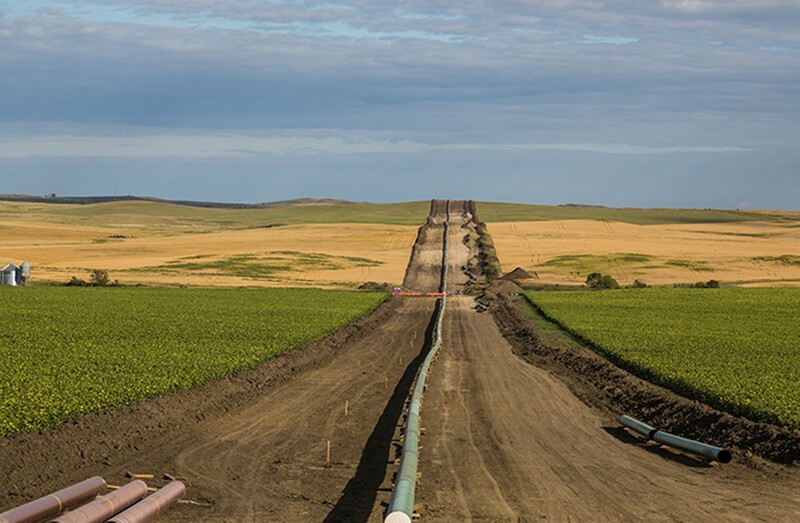 According to MacMillan, the bonds are used to finance Energy Transfer Partners ongoing operations and to help build expensive capital projects such as the Dakota Access Pipeline. Therefore, bond investors literally own stakes in the pipeline itself — and stand to lose if it isn't built. 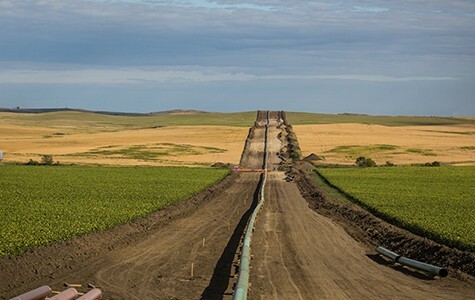 According to several prospectuses filed by Energy Transfer Partners with the Securities and Exchange Commission, some of the bonds owned by UC, CalPERS, and CalSTRS were issued in 2015 — after Energy Transfer Partners announced plans to build the Dakota Access Pipeline. Banks including Wells Fargo served as the "book running managers," meaning that they initially bought the bonds from the company and then resold them to investors like the UC and state pension systems. In its prospectus for the bond offerings, Energy Transfer Partners stated that it would use the money raised to fund "growth capital expenditures," such as new pipelines. Opal Plant said that indigenous peoples and their supporters will continue to fight against the Dakota Access Pipeline and similar projects, and that focusing on local companies and investors who are funding the pipeline will remain part of their strategy. "Standing Rock woke up millions of people from around the world and one of the messages is Standing Rock is everywhere," she said.